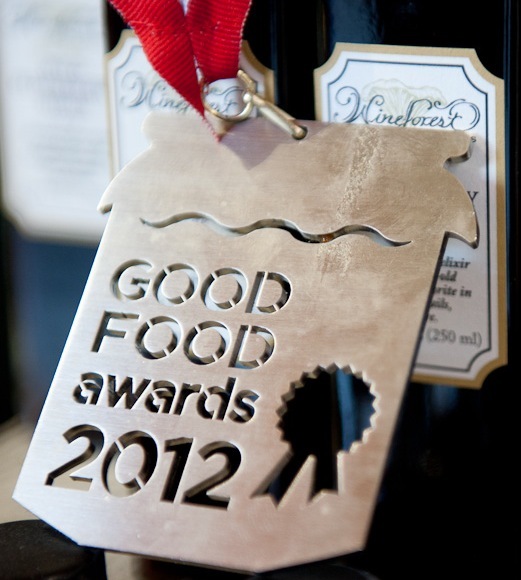 The Good Food Awards is now accepting entries in all categories. The entry period closes August 31. The Awards, now in their third year, were founded to “recognize American craft food producers who excel in taste and sustainability,” according the organizers. The awards are open to producers across the nation with prizes awarded regionally. Last year dozens of winners were featured in Whole Foods displays and some made it to the shelves of Williams-Sonoma. Seedling Projects, which organizes and founded The Good Food Awards estimates that last year’s winners cumulatively invested an increased $800,000 in local farms to fulfill the new demand for their award-winning foods. We are great fans of any awards program that has a category for pickles and heartily support the Good Food Awards. August 5th marks the official launch of a coast-to-coast call for entries of beer, charcuterie, cheese, chocolate, coffee, pickles, preserves, spirits, and (a brand new category) confections. A blind tasting with Alice Waters, Nell Newman and over 130 other food movement leaders will determine this year’s 100 winners, who will be showcased in San Francisco at a special one-day Good Food Awards Marketplace within the iconic CUESA Ferry Plaza Farmers Market.